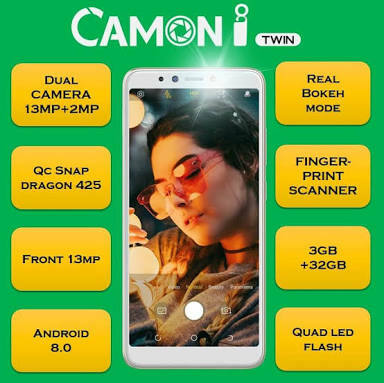 Tecno has just released Tecno Camon I Twin, after releasing Camon I, Camon I Air and Camon I Click. Tecno Camon I Twin came with some cool specifications and features. 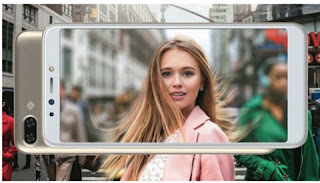 The phone spots a 6-inches 2.5D curved glass having a FullView 18:9 aspect ratio, 4G LTE enabled, rear-mounted fingerprint sensor as well as Face unlock for device security. Tecno Camon I Twin features a dual 13MP rear camera with Quad LED flash which delivers enough luminaries to light up the dark scenes along with a 2MP AI portrait shots, as well as 13MP front camera with LED flash and AI beauty as well. The phone came running on Android 8.1 Oreo with Tecno's HiOS which is powered by Qualcomm Snapdragon 425 processor coupled with a 3GB of RAM and 32GB internal memory with support for MicroSd Card upto 128GB external. Good phone with good RAM and ROM of 32gb, it really worth the price. Tecno, you want us to thief to buy this phone... always introduce Phone. Not bad, at least for the price. But personally I would add a little money and go for something better. Just a little money.